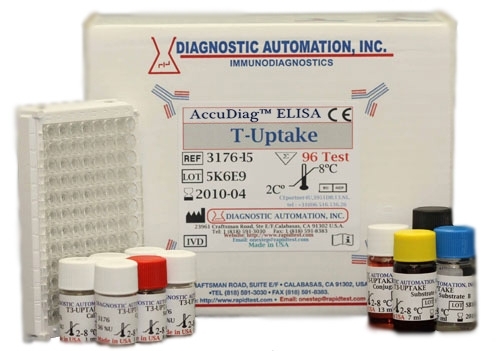 (NeoNatal T4) NNT4 ELISA kit| CE-GMP | 818-591 3030-USA. 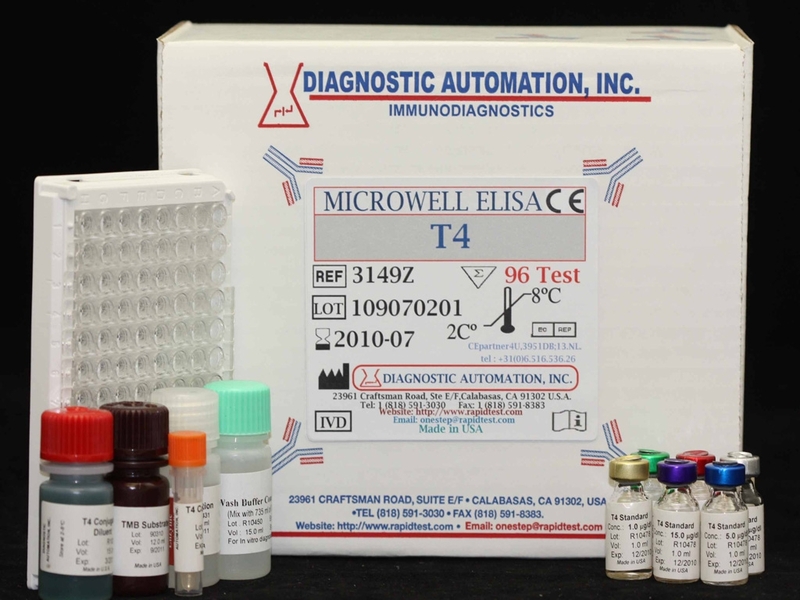 The Diagnostic Automation Neo-Natal T4 ELISA test kit is an enzyme linked Immunoassay for the quantitative determination of Total Thyroxine (T4) Concentration in Human Neonates whole blood. 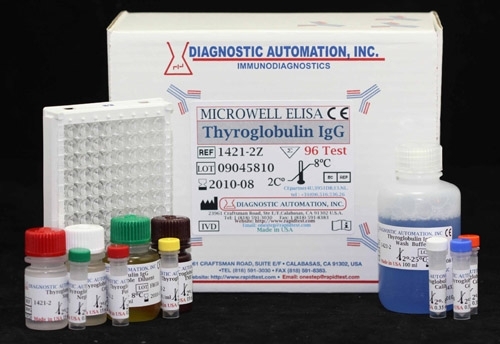 Determination of hypothyroidism within the first few days of birth has been recognized as the single most important diagnostic test in neonates by the American Thyroid Association. Congenital hypothyroidism is probably the single most common preventable cause of mental retardation. Diagnosis and treatment of congenital hypothyroidism within the first 1-2 months after birth appears to be necessary in order to prevent severe mental retardation. 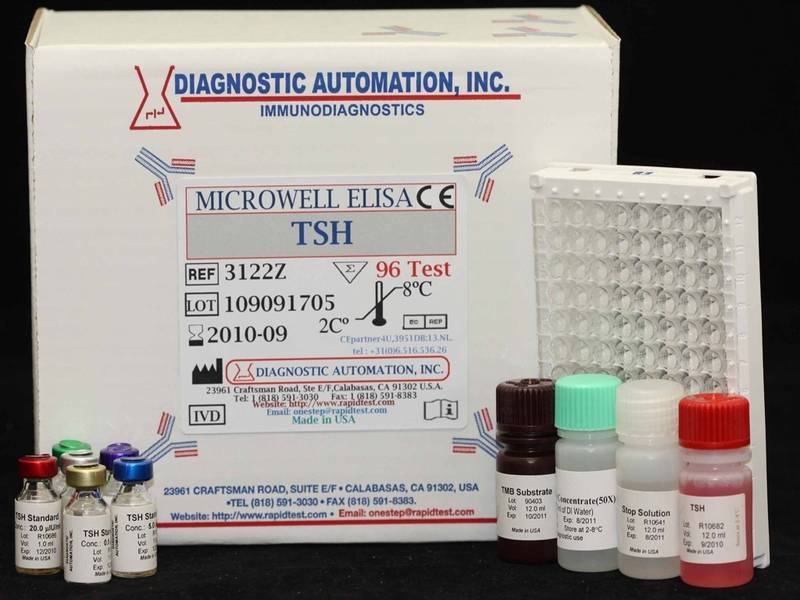 This microplate enzyme immunoassay methodology provides the technician with optimum sensitivity. 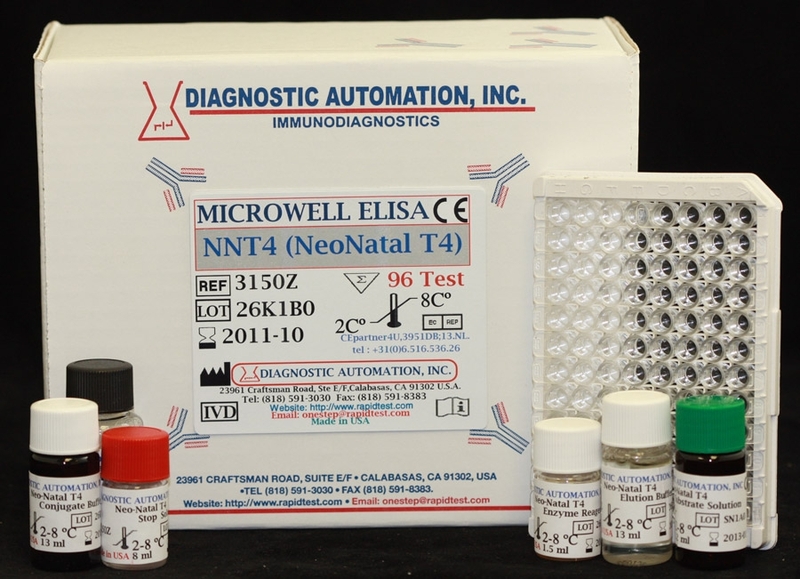 Neo-Natal T4 ELISA kit is a solid phase ELISA immunoassay. 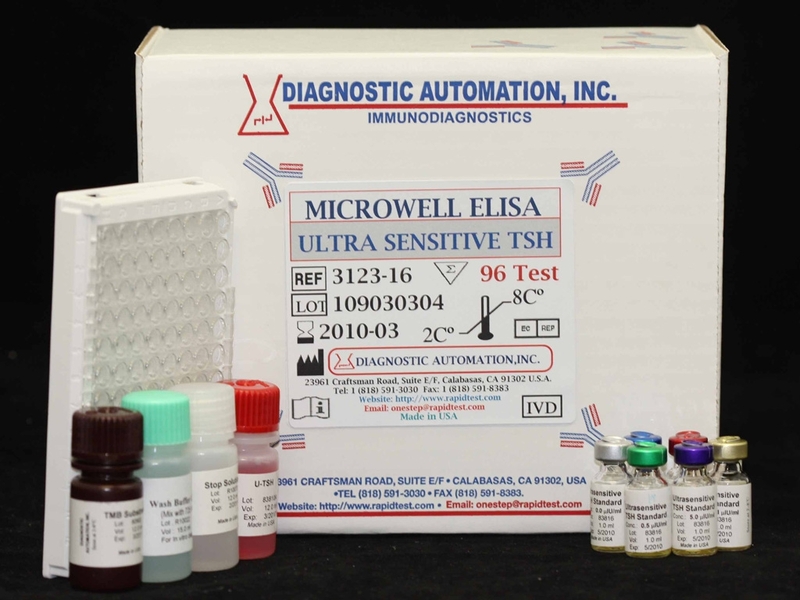 The essential reagents required for a solid phase sequential enzyme immunoassay include immobilized antibody, enzyme-antigen conjugate and native antigen. Upon mixing immobilized antibody, and a whole blood sample containing the native antigen, a binding reaction results between the native antigen for a limited number of insolubilized binding sites. For additional details please refer to the instructions for use.